By the beginning of the 20th century America was no longer a simple rural, agricultural country. The industrial revolution and urban growth had transformed the face of the nation, which resulted in great economic, social, and cultural change. This change meant many benefits for the nation as a whole, but it also meant new problems that had to be addressed for the first time. Kansans were at the forefront of many the movements. The Populist movement of the 1890s raised many of these issues. 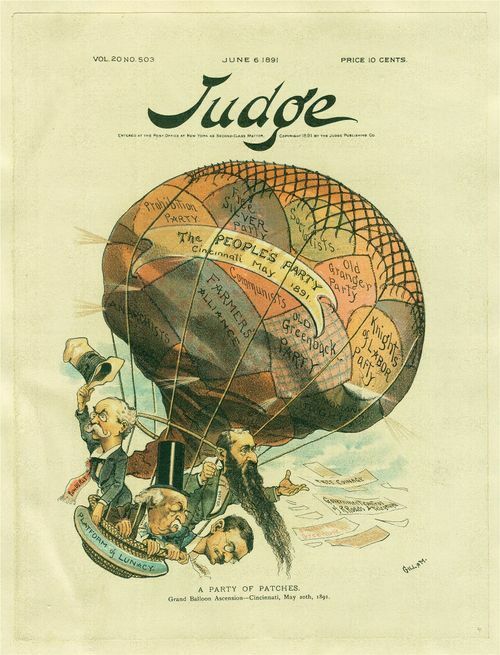 The movement peaked in 1893 with the Populist War, when elected Republican and Populist Party representatives competed during the legislative session. After William Jennings Bryan was defeated in his campaign for president in 1896, Populism lost its effectiveness as a reform movement. In Kansas, where the Republican Party continued to dominate, a number of G.O.P. politicians were concerned about the conservatism of the party. As a result, they sought to promote reform. These progressive Republicans were supporters of Theodore Roosevelt, who became the most visible symbol of the national movement. Meanwhile statewide Kansas began to take action to reform. A child labor law was put in place. Other acts included the creation of juvenile courts, the passage of a law regulating the hours of work for railroad employees, and the enactment of a civil service law. Kansas progressives generally identified with prohibition and were critical of state and local officials who ignored the law. On the national level, Kansas progressivism recognized. In the U. S. Senate, Joseph Bristow became a leading voice for change. He joined such notables as Robert M. LaFollette and William Borah as spokesmen for national progressive reform. In 1912 Senator Bristow introduced the resolution that led to the adoption of the 17th Amendment which provided for the direct popular election of senators. Governor Stubbs, who entered politics for the first time in 1902 at age 44, continued to guide reform efforts. His legislature regulated the sale of stocks and bonds, enacted a workmen's compensation law, created a commission to regulate utilities, and began state inspection of meat packing plants. It also passed bank guaranty and anti-cigarette laws. A businessman turned politician, Stubbs followed another progressive pattern by applying the techniques of business management to the administration of government. Some of the legislation passed during the Capper administration can be considered progressive--a law permitting the adoption of the city-manager form of government, a more stringent anti-cigarette law, the "bone-dry law," and the creation of the position of state fire marshal and a State Highway Commission. After 1916, however, the progressive movement faded. Although the movement itself had ended, many of its former leaders continued to play prominent roles in Kansas and the nation. Capper was elected to the U. S. Senate in 1918, where he would serve until his retirement in 1949 at age 83. In 1918, Kansas women, who had enjoyed equal suffrage since 1912, helped elect Lizzie Wooster to the office of state superintendent of public instruction. She was the first woman in Kansas, and one of the first in the country, to hold a state- wide elective office.